Some 40,000 families will be affected by the act of sabotage. Two Venezuelan protesters attacked a state-owned storehouse Thursday, setting fire to the building and destroying food reserves kept there. Anzoategui’s state governor, Nelson Moreno reported that around 7 p.m. the two men armed with Molotov cocktails, scaled the institution’s fence and attempted to burn the facility to the ground. 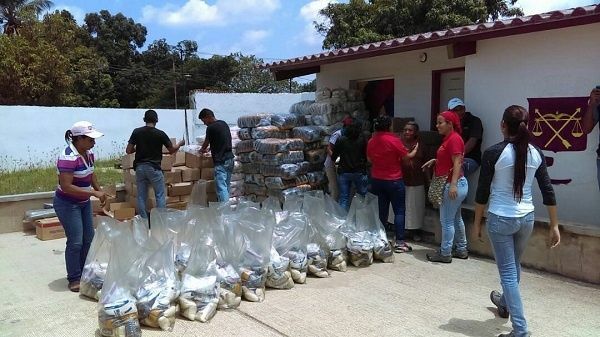 About 40 tons of food that would have been distributed through the Mercal subsidized food market and subsidized government programs were consumed by the flames. 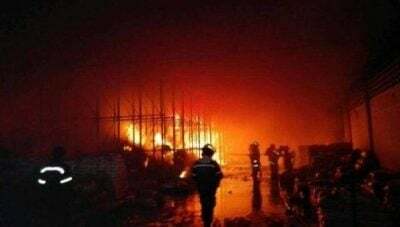 Officials said the destruction of the warehouse was a strategic move by the opposition groups, given its strategic location between the cities of Barcelona, Puerto la Cruz and Lecherias. Consequently, 40,000 families will be affected by the fire, which also serves 399 Local Supply and Production Committees, CLAP, 278 schools, 31 comprehensive diagnostic centers, three penitentiaries, a geriatric center, as well as 52 nutrition houses. Governor Moreno reassured families that firemen were able to salvage over half of the goods kept in the collection center. These will be distributed by the Local Committees of Supply and Production. The violent incident follows the pattern of violent acts promoted since April by opposition groups across the country in order to destabilize the government of President Nicolas Maduro. Moreno said that these actions are part of the plan of extremist sectors of opposition to sabotage the Constituent Assembly process called by Maduro. “They will not be able to stop the advance of the call made by our President Nicolas Maduro to the National Constituent Assembly,” the governor said. The National Constituent Assembly holds its final elections on July 30 when 545 candidates will be selected to represent the country’s social, regional and economic sectors.